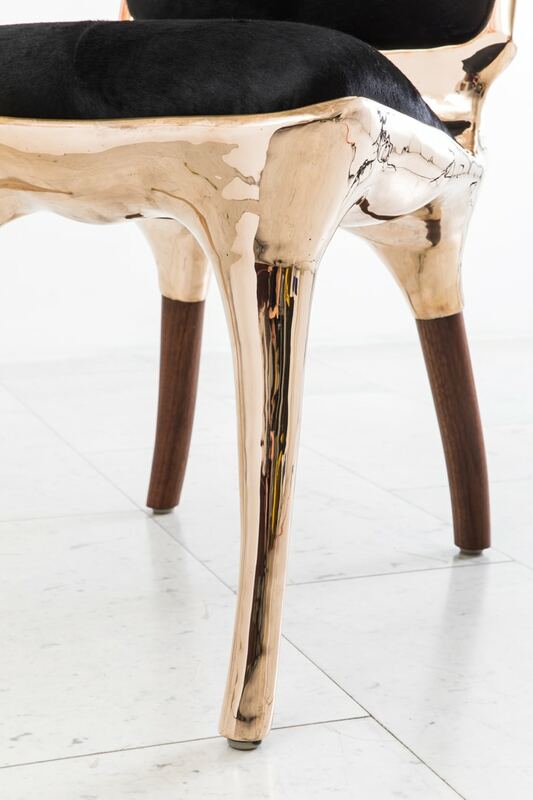 Tusk Chair II reflects Alex Roskin penchant for an animality in form. 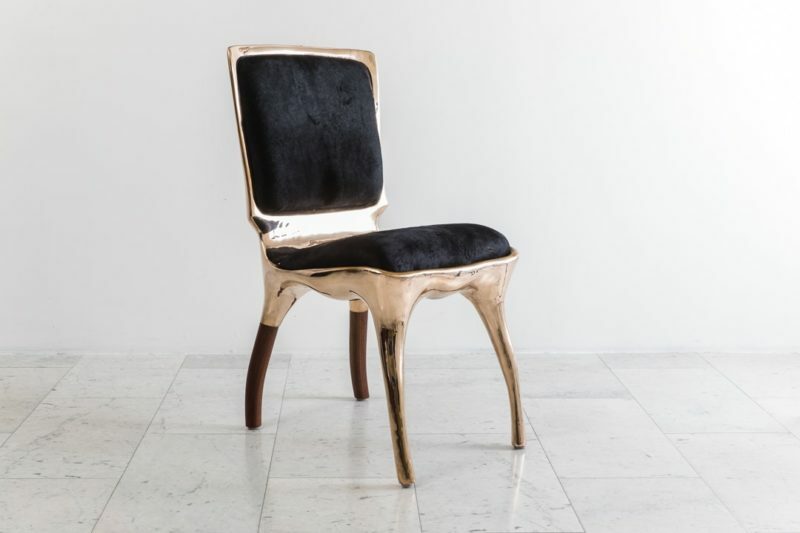 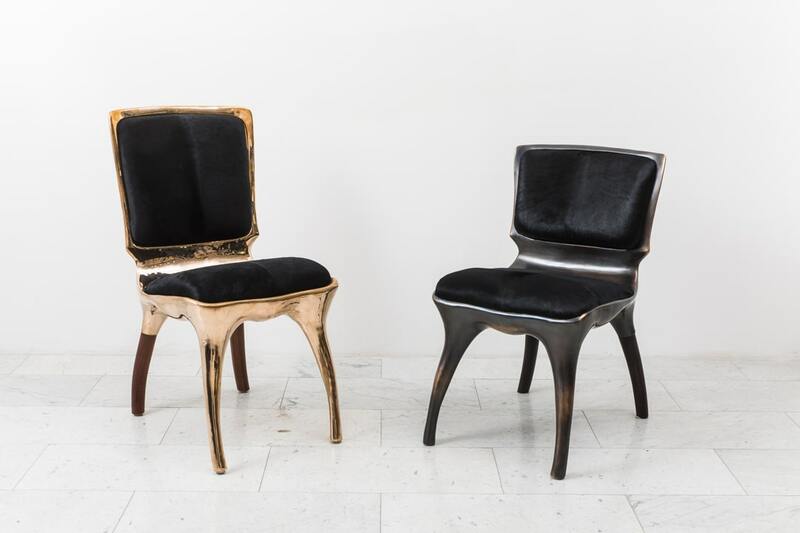 The versatile chair can be used as a salon chair, a desk chair, or grouped for a dining set.The chair features an mammalian physicality, hand-sculpted and cast in bronze. 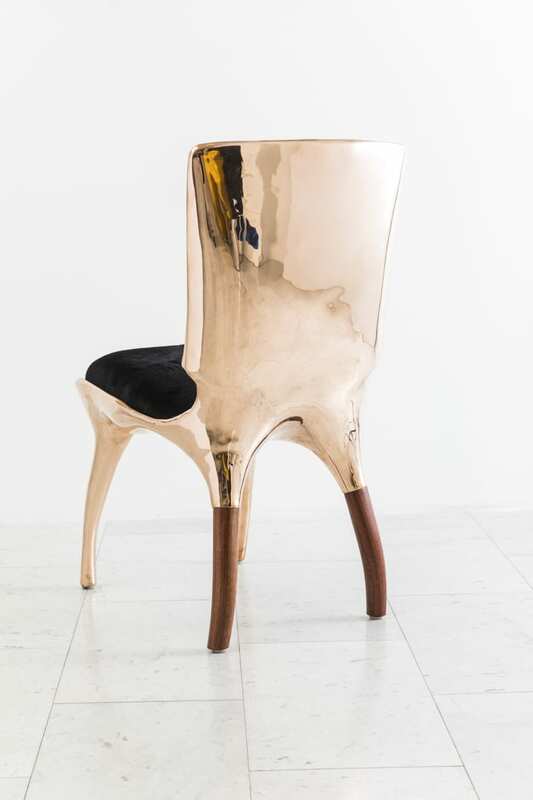 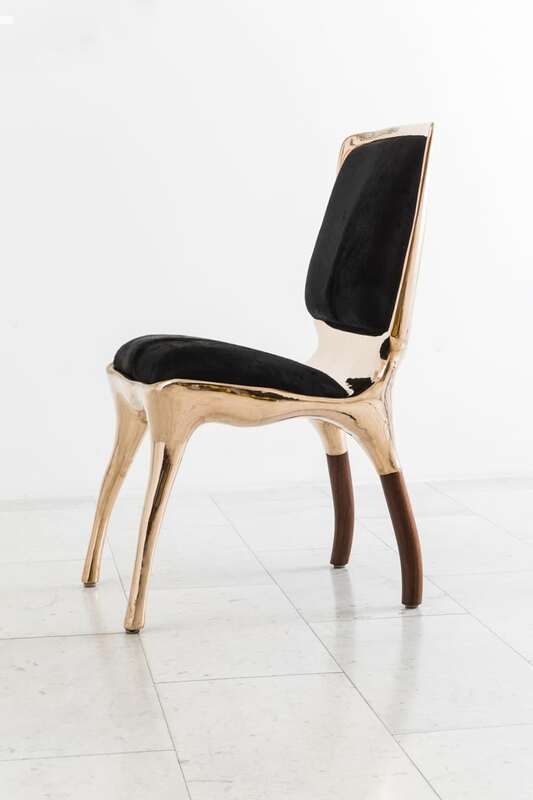 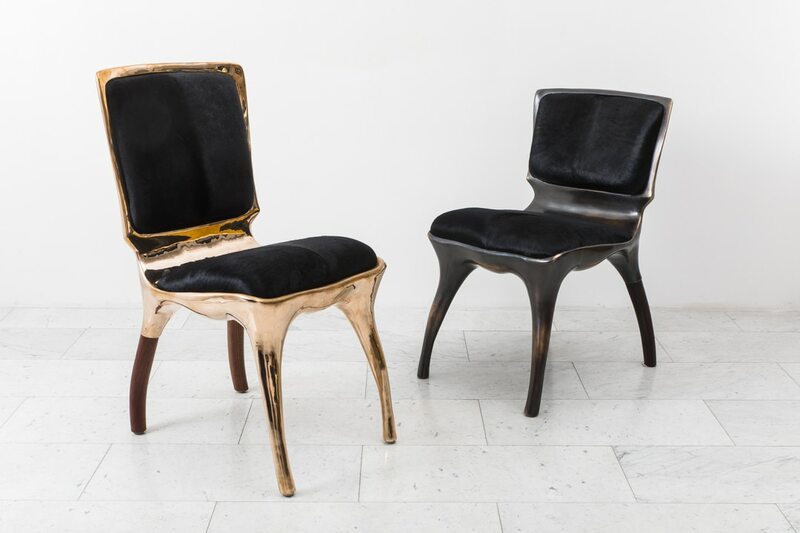 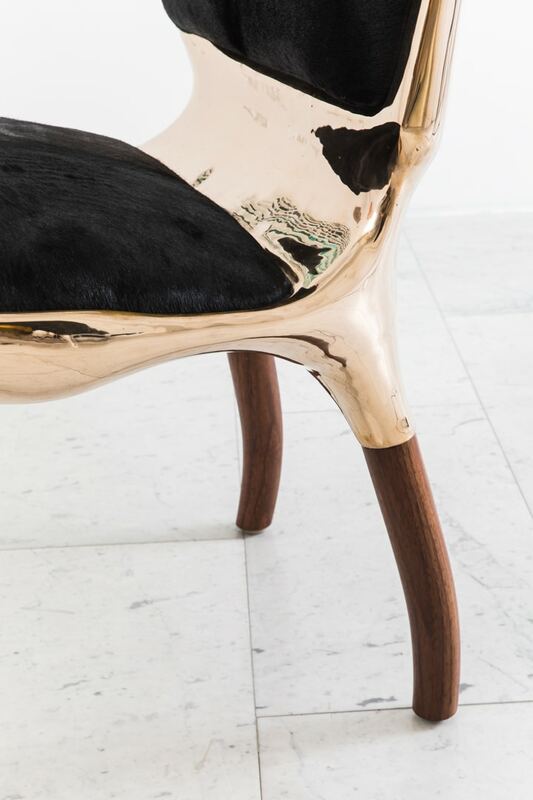 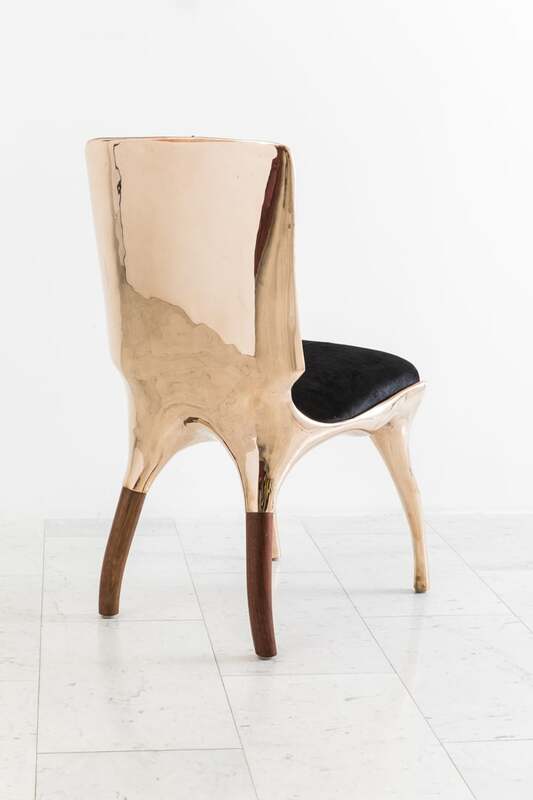 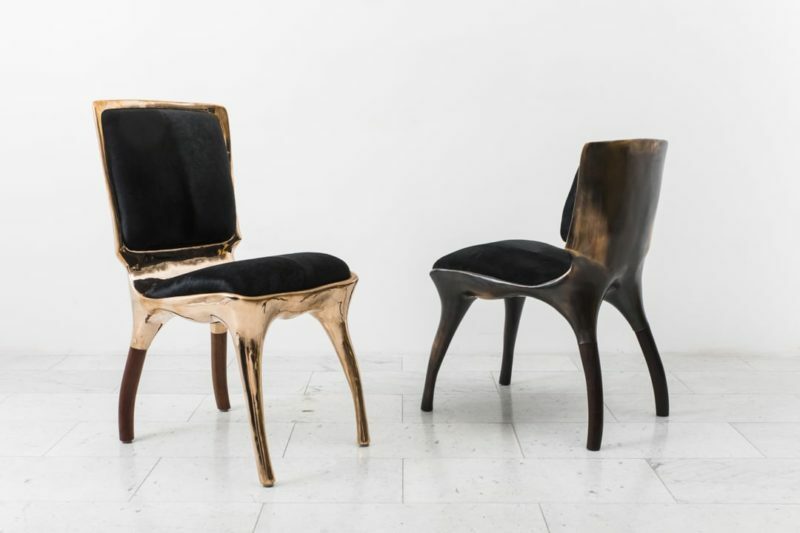 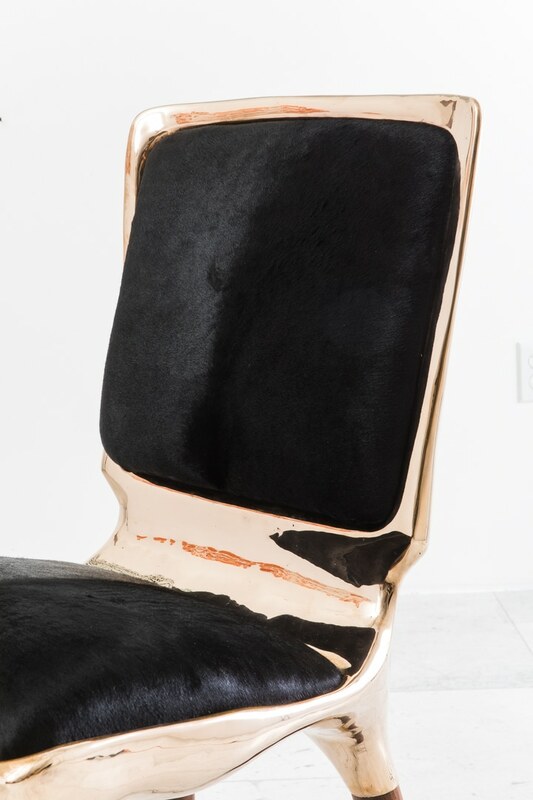 The bronze front legs extend from the chair’s body in a bowed fashion while the back legs are hand carved, rendering each chair unique. 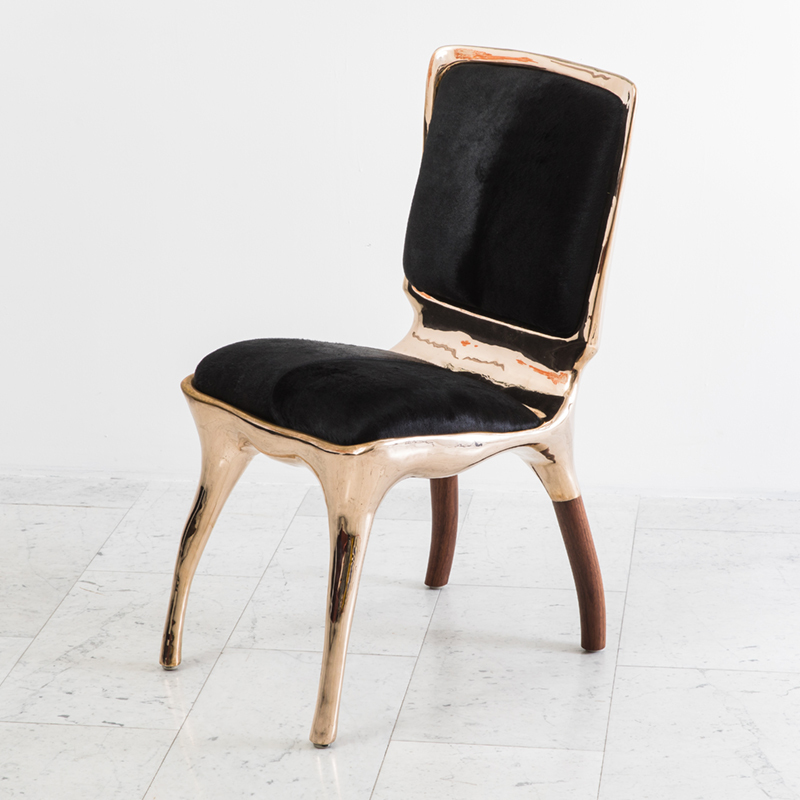 The seat and back are upholstered in satiny black pony.